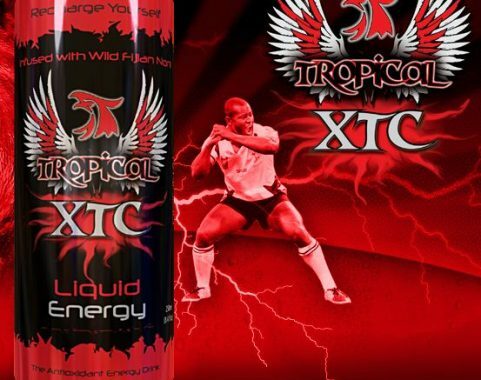 Tropical XTC – Liquid Energy Drink is the first local Energy Drink using Noni Extract and is world’s first “Antioxidant Energy Drink”. The Perfect blend for people who are looking to charge themself with their daily hectic lifestyle. Frezco Beverages has introduced a cool new energy drink INFUSED with wild Fijian Noni extracts, Guarana and other Secret ingredient formulated to increase energy, enhance performance, promote alertness and support endurance when you need it. This is a truly unique blend of traditional native Fijian ingredients with an ancient tribal tradition. The Research and Development of a new age energy drink started some 5 years ago by the founder Mr. Mohammed Altaaf , who wanted to bring about a more palatable tasting Energy Drink which also had the local active ingredients in it for local and export market. There was no other better choice than using its own product Fijian Noni . 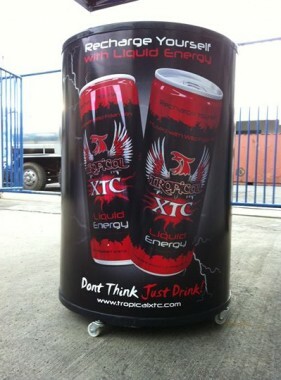 The company went to finalising the taste last year with group of close friends and clients before taking up production. The branding and design works was closely worked on by Mr. Altaaf himself with designers from UK and New Zealand. Frezco is already shipping out to Australia and US market where it will use the current distribution channel to promote the sales. The Brand has already gained over 5000 face book fans.